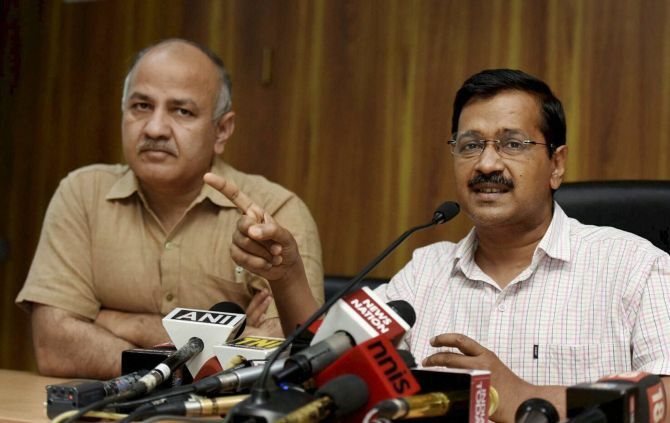 The ongoing row between the Arvind Kejriwal-led Aam Aadmi Party government and the bureaucracy in wake of the Delhi Chief Secretary Anshu Prakash alleging assault comes as no surprise as the two have tussled over a range of issues in the past. In December 2015, the Delhi, Andaman and Nicobar Islands Civil Service officers went on a mass leave against the suspension of two special home secretaries by city minister Satyendar Jain. The IAS officers had also boycotted work for half-a-day in support of DANICS officers. The chief minister had slammed former chief secretary M M Kutty when the latter allegedly refused to examine the recent metro fare hike. In November last year as well, Kejriwal had written to the then chief secretary Kutty, asking him to initiate proceedings of “dereliction of duty” against the then Public Works Department Secretary Ashwani Kumar over desilting of drains. In response, Kumar had hit back and said, “negativity and squabbling attitude” does not work in such a challenging task. In June 2017, Deputy Chief Minister Manish Sisodia had also sought action against Directorate of Information and Publicity Director Jayadev Sarangi for not arranging his Facebook Live event to address traders’ issues on the GST. In May 2015, the chief minister’s office had given orders to lock the office of a senior IAS officer, who had issued an order notifying the appointment of the then power secretary Shakuntala Gamlin as acting chief secretary. However, on some occasions, Kejriwal and Sisodia praised officers and said that all bureaucrats are not “wrong” and some officers “works”.